Don't want to Reserve Now? Search for flights in the form above! 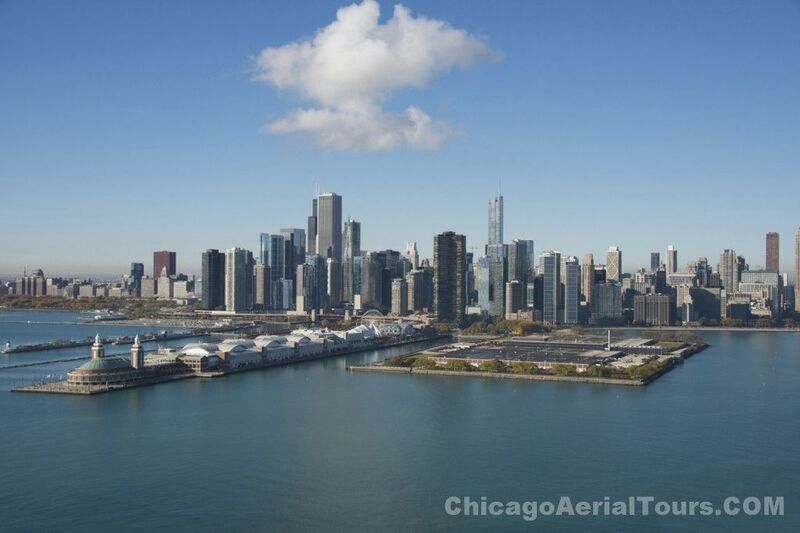 A Chicago Airplane Tour is an experience not to miss. This exhilarating flight will give you unparalleled views of one of the most breathtaking skylines in the world. See all the details of the Windy City while riding on the wind. "Why the airplane?" you may ask. The major advantage of the airplane over the helicopter is cost effectiveness. The reason our helicopter tours cost more is because helicopters burn more fuel than airplanes and cost considerably more to operate per hour than planes. The value of the Private Airplane Tour can not be matched! It's nothing like a big plane airline flight that you may be accustomed to. It is completely different with sprawling views of the landscape that spans as far as your eyes can see. Our airplane tours fly the same areas, same altitudes, and same speeds for 2 to 3 times longer time than in the helicopter but at half the price!!! ALWAYS PRIVATE!!! Just you and YOUR guests along with the pilot!!! This is an AIRPLANE Flight! 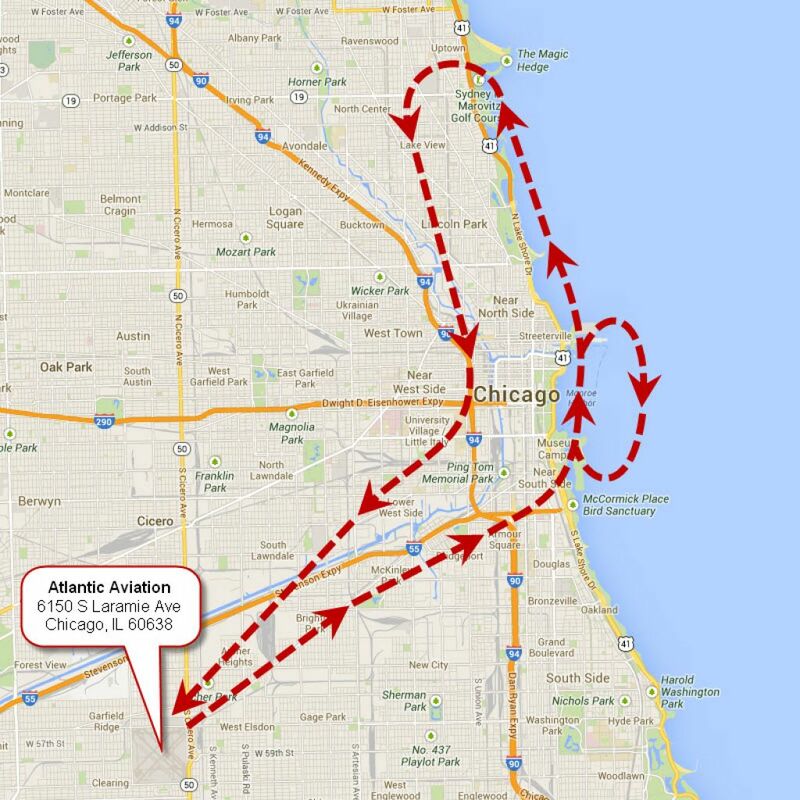 We do not impose a time limit on how long the Chicago Airplane Tour flight will be. As long as we fly the outlined route as seen on the map above, the approximate time in the airplane, from engine start to engine shutdown, varies and is approximately 30 minutes to 55 minutes and sometimes longer. This time includes ground taxi, engine run up, takeoff, actual flight time, landing, taxi back to terminal parking, and air traffic control direction! 2 Passenger Minimum!